Hello dear friends! 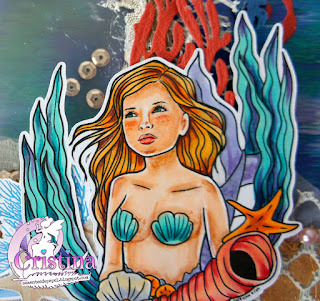 Cristina from Sementes de Papel here, with the new release of the talented Amanda. 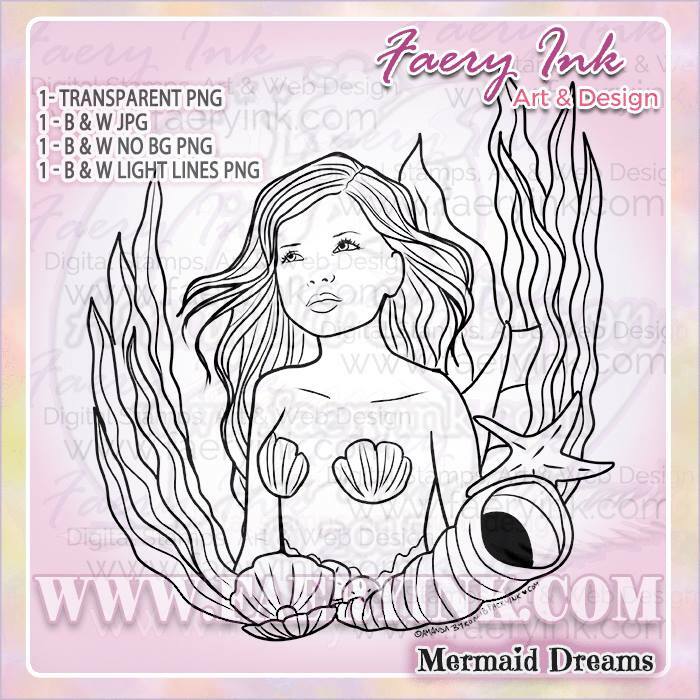 Let me show you the new digital stamp "Mermaid Dreams", that you can find in the shop "Faery Ink". I really felt in love with this image when I saw it, I find the face of this beautiful creature so captivating that it inspired me to make a sketch with something that she could be looking at. Finally, I used it for a page in the Summer mini album that I'm creating for this season. I love how the seaweed flows in the ocean current. I colored the skin with my copic sketch markers, E04, E11, E21, E00 and E000 and a touch or R20 in the cheeks. 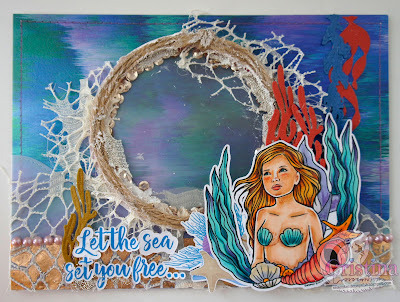 For the seaweeds I used the blue-green combo BG49, BG45, BG23 with a touch of BV13. The colored paper has a iridiscent touch and it is a design of the Wild Flower Collection (First Edition paper). 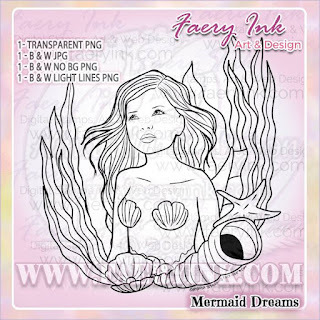 I hope to have inspired you and to see your creations with the new stamps in the Faery Ink Facebook Community group. Crafty Sentiment Designs. July, Anything goes. 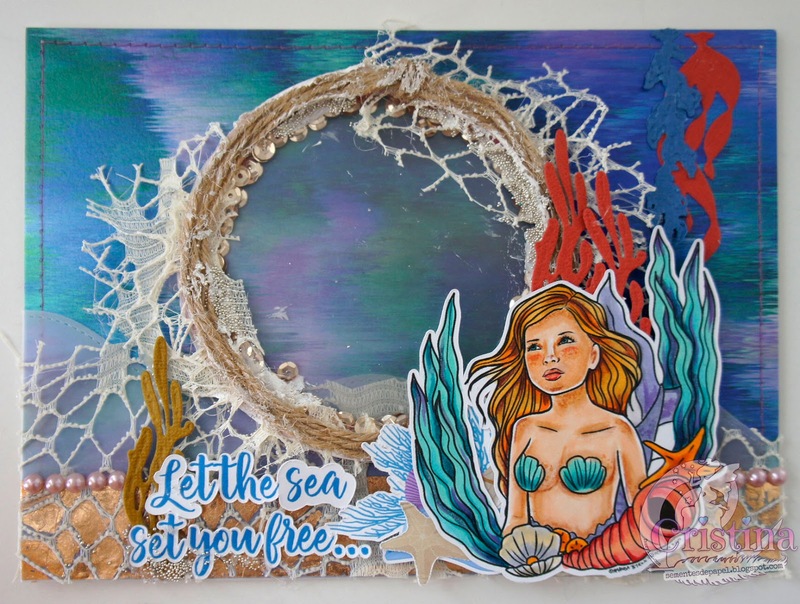 Crafting with an attitude: Anything goes. 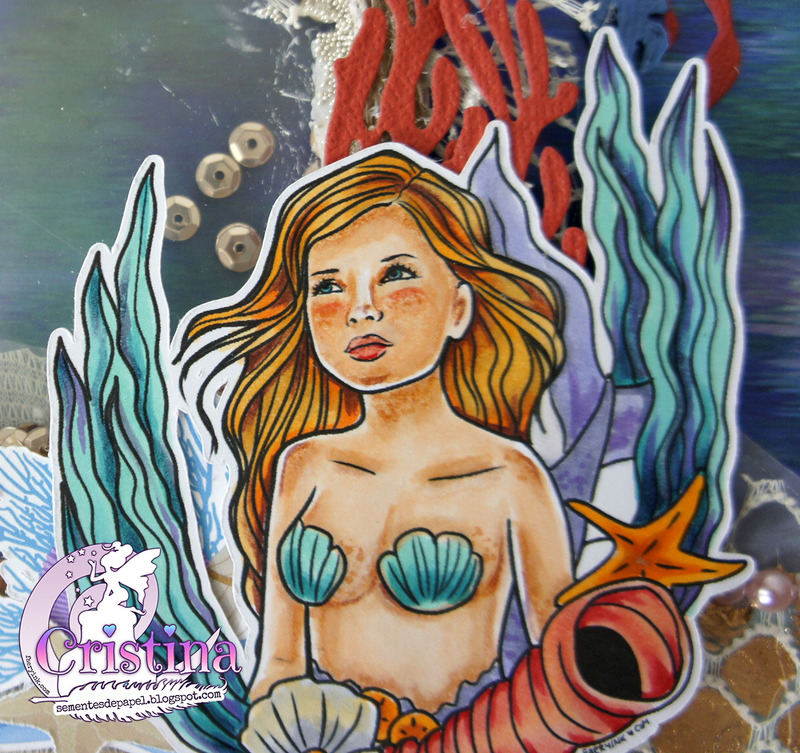 Crafty Girls Creations. #49, Anything goes. Oh my! Your card is wonderful. Such a fantastic cute image, and your card design is awesome. 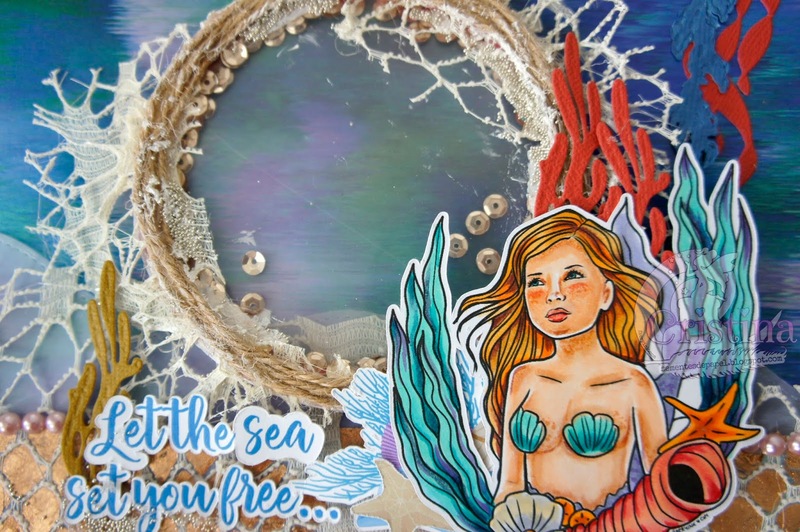 Thanks for joining us at Creatilicious Challenges! Woweeee this is a real jaw dropper. Gorgeous work. I love it. 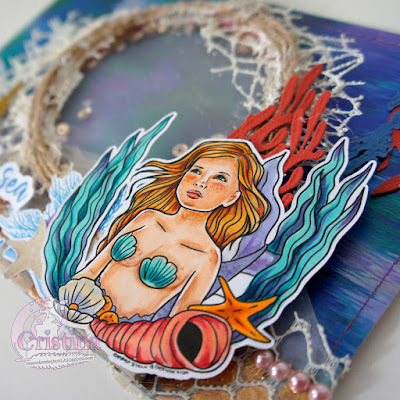 Gorgeous card, wonderful colouring and card design. Thanks for joining us at Card Mania Challenges. Good luck and hope you'll join us again. A gorgeous card. Lovely images and colouring.